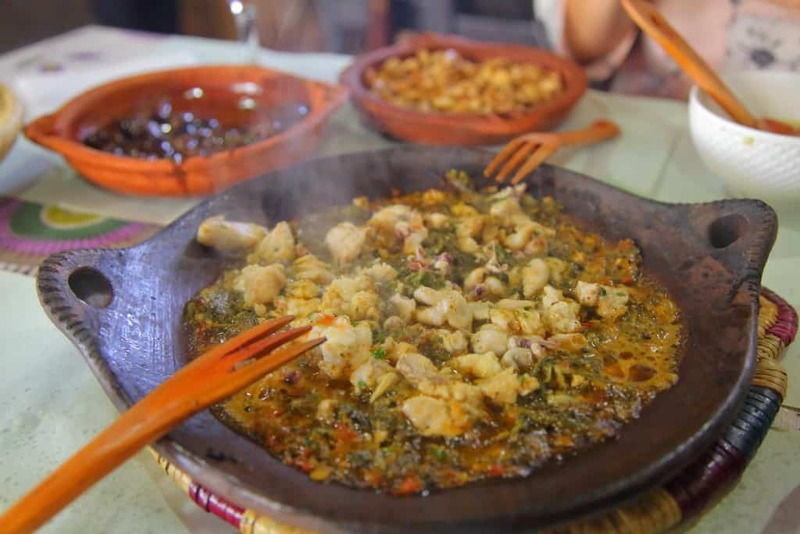 As regular watchers and even readers of Anthony Bourdain, we knew that a must do when we got to Morocco was to visit the very same restaurant that he ate at when he was in Tangier. 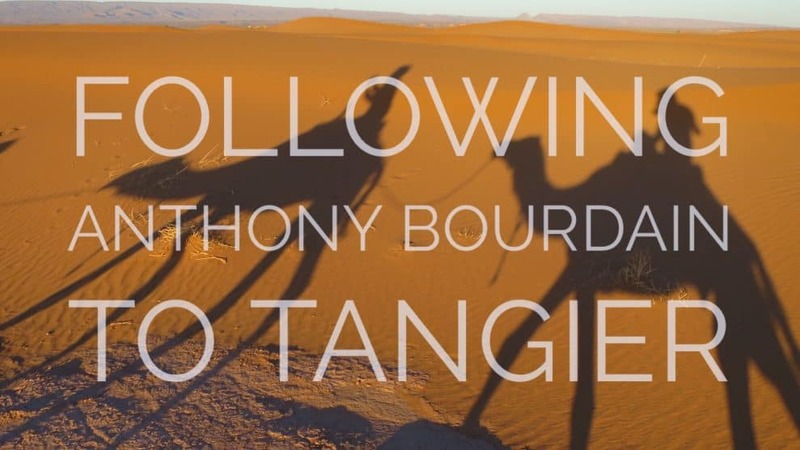 In an episode of the popular show Parts Unknown, Bourdain travels to the tip of Northern Morocco to explore the craziness of Tangier. We took a day trip there from Assilah via grand taxi (read more about those grand taxis here) which costs 20 DH and takes about 1 hour. Most importantly there are a few tips everyone should know before going to Morocco. 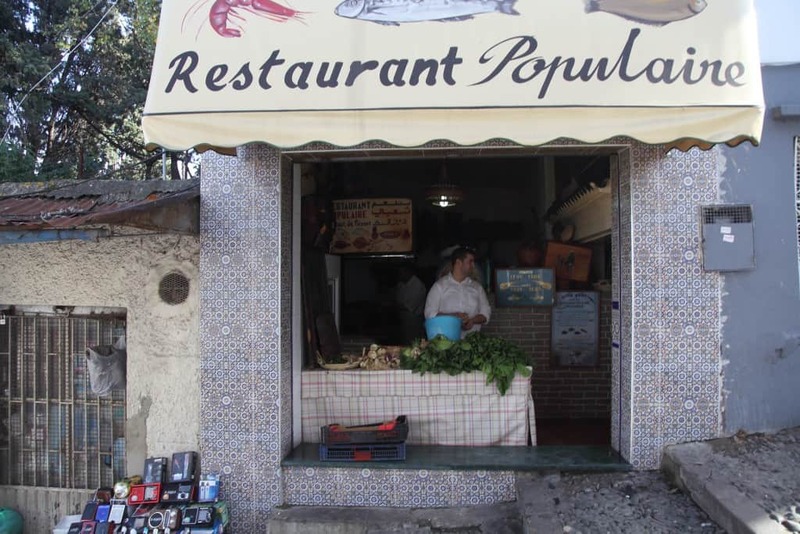 After exploring the city, our stomachs were calling to us so we set out for Le Saveur De Poisson in Tangier. Surprisingly the small restaurant was incredibly easy to find. Located on Escalier Waller, you will walk down a long flight of steps and find the restaurant open for business between 12-3pm, and 5-10pm (hours of Feb 2016). Step in and take a seat for the meal of a lifetime. No need to look at a menu or choose between entrees. Everyone gets the same four-course meal with the freshest catch of the day. The food gracefully arrives in front of you soon after you sit. The first course was enough alone to fill me up. Fish soup, olives, peanuts, bread and spicy chili sauce accompanied by a special drink made from a special blend of fig, prune, and herbs. I came to find out that the juice was unlimited so don’t hold back. I sure didn’t! Within no time came the second course. A blend of spinach, baby shark, and baby squid flaming hot. I was struggling to make room in my stomach for the main meal – baby shark skewers and some fish that I could not even tell you the name of. But it was delicious! Just when you thought your stomach couldn’t handle anymore the waiter brings our dessert. 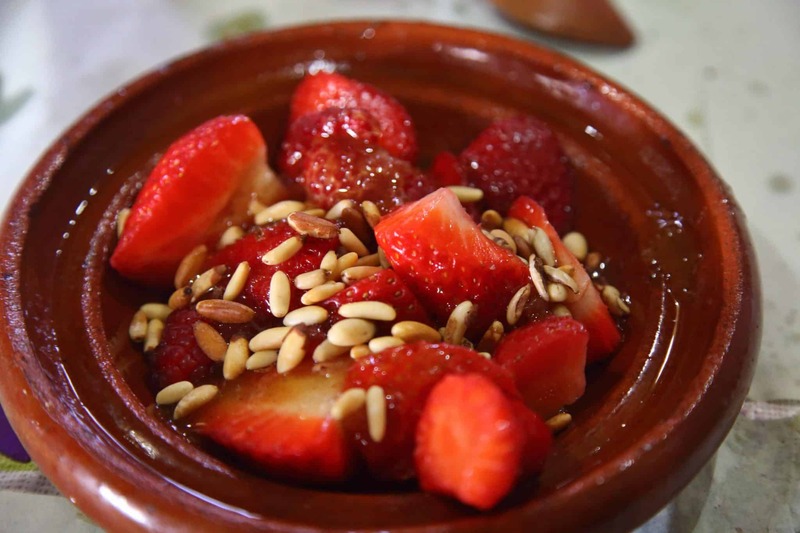 Fresh strawberries, raspberries, and pine nuts drizzled with honey. We gobbled it down within a minute. 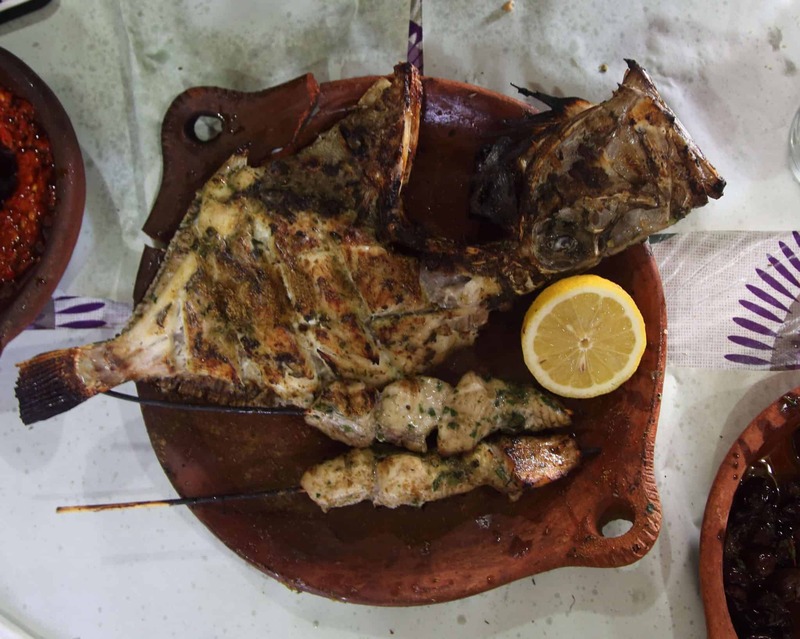 It goes without saying that Bourdain (and his producers) sure know how to pick food. We set out to have a great meal in Morocco, and that’s exactly what we got. After a month of tajines and couscous, this was a superb treat. Price: 200 DH (about $20) per person. Certainly not cheap, especially for Morocco. However, as our one splurge meal in the country, we decided it was worth it. Good to know: I’ve heard there is usually a line to eat at Le Saveur De Poisson. We were here in the off-season and although the restaurant was full, we did not have to wait. It’s best to get here right when the restaurant opens for fast seating.